. Contents USB Ports Keyboard and Screen WiFi Bluetooth Camera, Microphone and Speakers Specific Brands Where to Buy Extended warranties Software Security Software What next? USB Ports Look at the number of USB ports on any machine that interests you and think about how many USB devices you may want to plug into it (external hard drive, mouse, mobile phone (for synchronising or transferring data), digital camera, etc). Some laptops come with as few as 2 USB ports and this can be a pain. Three is obviously a better number and more than that is great if you often find yourself connecting lots of devices. USB3 - if you are intending to back up lots of data via a USB connection then it's definitely worth looking for USB3 ports on a new computer. See this blog for more info on USB3. It used to be the case that most USB ports, power ports, ethernet ports etc were placed at the back of laptops. This was my preferred location as it kept the cables away from where I could see them, knock them etc. These days, it seems that all the ports are placed along the sides of the laptop. Maybe it's worth visualising what any prospective purchase will look like with your cables all plugged in. On my Samsung RF511, for instance, if I connect the external monitor then the thick, inflexible HDMI cable sticks right out of the lefthand side of the machine just where I want to be sliding my mouse around. This is probably part of the world-wide conspiracy against left-handers. Keyboard and Screen [caption id="attachment_3423" align="alignleft" width="220" caption="Sony Vaio Z Series"] [/caption]The size and type of these is a matter of personal preference. Some people like highly reflective screens and others like them matt, for instance. The bigger the machine, the easier it tends to be to use when it's on a desk but the harder it is to use on your lap or to carry around. If you like a large laptop (17 inch screen, for instance) then the machine will probably be more expensive and have a better specification overall (more USB ports, for instance). It is worth trying out the keyboard to see if it suits you. If you like to have lots of windows open at once then the larger the screen the better as larger screens don't just make things bigger, they provide more room to display things. Liking lots of windows open at the same time is also an indicator that you should have as much RAM as possible (see above). One last point on the subject of screen size is that I find using a netbook computer (with a 10 inch screen) a strain after a while on account of the small screen size. It's a fact of life that our eyes are not as good at keeping a sharp focus over long periods of time as we get older and I find a marked difference between viewing a 10 inch screen and a 15 inch screen when it's late in the day and my eyes are tired. My own personal preference on this is that I find a 15 inch screen (on a laptop ) the ideal compromise on screen size. You can always connect a laptop or netbook to a larger external monitor if desired. WiFi I can't imagine that any laptop is supplied without WiFi these days, but it might make sense to ensure that it is there. Bluetooth This is a wireless technology for communicating between your laptop and some devices such as mobile phones. A mouse connected by Bluetooth saves a USB port from being used by the mouse and ditto for a Bluetooth keyboard. Unless you already use it, you can probably live without it, but having it won't add a great deal to the price. Some cheap Bluetooth devices (such as cheap keyboards and mice) have "connectivity issues" (ie they don't work very well). Camera, Microphone and Speakers If you use Skype then ensure there is a built-in camera and microphone as Skype is much easier to use with these built in. Most laptop speakers are fine for voice (Skype calls, for instance) but pretty hopeless for listening to music. Ensure that you test the speakers before buying if playing music is important. Alternatively, you can plug in external speakers, but things are now starting to get a bit messy. Specific Brands Well, I think "you pays your money and you takes your choice". My own personal favourite is Samsung. My main computer is now a 15 inch Samsung RF511. My previous one was a Samsung Q35 laptop that was my main machine for well over 5 years. I've now put Windows Vista and Office 2003 back on it so that I can use it to help me provide computer support to clients with those technologies. I've also had a Samsung NC10 netbook since March 2009 and that, too, is an excellent machine for its niche use (carrying around London with me for onsite computer support visits). A "desktop replacement" is likely to have a 17 inch screen, be as powerful as the desktop computer it may be replacing, and be too heavy to want to lug about very often. A "laptop" is somewhat smaller (a 15 inch screen is typical), and probably about as powerful. You can put one in a backpack and carry it around but you wouldn't want to do that too often. A "notebook" may have a 13 inch screen and may be less powerful. You may be more inclined to take it with you than a laptop, but you still probably wouldn't want to carry it every day. 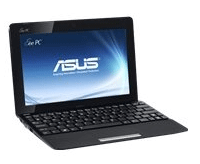 A "netbook" typically has a ten inch screen, is much lighter, and the battery will probably last 7-10 hours (whereas more powerful laptops may last for as little as 90 minutes on the battery). Light enough to carry every day, but still much bigger and clunkier than a "tablet". We are not considering tablet pcs in this article but you may wish to see this article on Tablets. Specify 32-bit again on your new system. Run the "Windows Upgrade Advisor" on your present system to check for potential problems. Go for 64-bit and accept that some peripherals may not work. Ensure that the laptop at least goes into "sleep" mode if left unattended when running from the battery. All operating systems have options for balancing computer performance against the length of time each battery charge will last. The longer each charge lasts, the longer the battery itself will last. Try to keep the air vents around the casing of the laptop clear of dust, fluff, and nearby obstructions. A good flow of air through the laptop is essential to keep the electronics working within specific temperature limits. If it gets hot then the fan will cut in. The fan needs power and this will come from the battery if the laptop is not connected to the mains. The best way to keep the vents clear of dust is by blowing air into them from an "air duster" (a can of compressed air - available from PC World, Maplins, Rymans etc). This is the second of two blogs on this subject. So many people ask me for computer advice on this subject that I think it’s worth updating a blog that I wrote in December 2010 – the original is here. USB3 – if you are intending to back up lots of data via a USB connection then it’s definitely worth looking for USB3 ports on a new computer. See this blog for more info on USB3. It used to be the case that most USB ports, power ports, ethernet ports etc were placed at the back of laptops. This was my preferred location as it kept the cables away from where I could see them, knock them etc. These days, it seems that all the ports are placed along the sides of the laptop. Maybe it’s worth visualising what any prospective purchase will look like with your cables all plugged in. On my Samsung RF511, for instance, if I connect the external monitor then the thick, inflexible HDMI cable sticks right out of the lefthand side of the machine just where I want to be sliding my mouse around. This is probably part of the world-wide conspiracy against left-handers. The size and type of these is a matter of personal preference. Some people like highly reflective screens and others like them matt, for instance. The bigger the machine, the easier it tends to be to use when it’s on a desk but the harder it is to use on your lap or to carry around. If you like a large laptop (17 inch screen, for instance) then the machine will probably be more expensive and have a better specification overall (more USB ports, for instance). It is worth trying out the keyboard to see if it suits you. If you like to have lots of windows open at once then the larger the screen the better as larger screens don’t just make things bigger, they provide more room to display things. Liking lots of windows open at the same time is also an indicator that you should have as much RAM as possible (see above). One last point on the subject of screen size is that I find using a netbook computer (with a 10 inch screen) a strain after a while on account of the small screen size. It’s a fact of life that our eyes are not as good at keeping a sharp focus over long periods of time as we get older and I find a marked difference between viewing a 10 inch screen and a 15 inch screen when it’s late in the day and my eyes are tired. My own personal preference on this is that I find a 15 inch screen (on a laptop ) the ideal compromise on screen size. You can always connect a laptop or netbook to a larger external monitor if desired. This is a wireless technology for communicating between your laptop and some devices such as mobile phones. A mouse connected by Bluetooth saves a USB port from being used by the mouse and ditto for a Bluetooth keyboard. Unless you already use it, you can probably live without it, but having it won’t add a great deal to the price. Some cheap Bluetooth devices (such as cheap keyboards and mice) have “connectivity issues” (ie they don’t work very well). My own personal favourite is Samsung. My main computer is now a 15 inch Samsung RF511. My previous one was a Samsung Q35 laptop that was my main machine for well over 5 years. I’ve now put Windows Vista and Office 2003 back on it so that I can use it to help me provide computer support to clients with those technologies. I’ve also had a Samsung NC10 netbook since March 2009 and that, too, is an excellent machine for its niche use (carrying around London with me for onsite computer support visits). If you are buying a computer in London and John Lewis have what you want then they are a good bet as they’re “never knowingly undersold” and their service is good. People seem to feel comfortable making scary purchasing decisions at John Lewis. By all means buy from PC World if the price is right for what you want, but I strongly recommend against relying on their technical expertise. I’ve overheard some toe-curlingly embarrassing whoppers (or, more charitably, mistakes) in branches of PC World. Not only that, but returning something faulty to PC World can have you queuing in their “technical assistance” for 40 minutes (I know, I’ve been there). Buying online from Dell is usually a safe enough thing to do but I’ve had clients complaining of their inflexible delivery terms. If you are buying online, then Amazon seem to be the best. If you feel brave enough to do Tottenham Court Road then you need to be aware that a lot of the shops there do not put prices on their goods. When you ask for a price then you’ll probably be given a high price. The only way to do business in most of these shops is to get an idea of what you are prepared to pay beforehand. You can usually do this online, but do remember that buying online tends to be a bit cheaper these days than buying retail so you may not be able to match the online price in the high street. So, when the man in the shop in Tottenham Court Road (and they are mostly men) says £599, wince, take a sharp intake of breath, and point out that you can get it online for £399. He will then ritualistically pick up a calculator, clatter a few keys, and say “I can do it for you for £420” (or thereabouts). My own personal recommendation for shopping on Tottenham Court Road is to buy from Micro Anvika. They have three or four shops on TCR. They’ve been around for many, many years and their staff are technically knowledgeable. They don’t discount prices, but neither do they overcharge. I’ve often been grateful for their technical assistance and they never quibble if you take something back. To be honest, some of the computer shops on Tottenham Court Road give the impression that they’ll take advantage of your lack of knowledge if they can. You never get that impression in Micro Anvika. You do need to consider what software you will need to buy. If you have been accustomed to Microsoft Office on your current computer then you can transfer the licence to your new computer provided that you bought a retail copy. If your previous copy came “bundled” with your computer when you bought it then you will have what is called an “OEM” licence and this is strictly non-transferable to your new computer. If you don’t need Outlook or Access then the Home & Student version of Office 2010 is great value at about £80 and it even comes with licences to install it on three machines. It includes Word, Excel, PowerPoint, and OneNote. Most new laptops come pre-installed with 60-90 day trial versions of Norton or McAfee antivirus programs. These will also quite probably include a firewall and anti-malware software. When the trial expires you will then be pestered to buy the full product. My own advice is that these products are overblown, too complicated, and expensive (since you have to renew the £30-£50 subcription every year). By all means go with the installed software if you wish, but there are free alternatives – eg from AVG and Microsoft. You could do worse than browse PC Pro’s review of laptops. Also, it’s worth browsing a few shops even if it’s just to see if you have a preference for particular keyboards, screens and the overall look or feel of different brands and models. If you need further, specific, advice about buying a new laptop (or any other type of machine) just contact me. If you are in London I am, of course, available to help in smoothing the path from your old to your new computer. Go on – treat yourself. Because you’re worth it! This is a fairly long article so I’ve split it into two parts. The second part will be published next week. Buying a computer is partly a matter of getting the basic parameters right and partly a matter of personal taste and preference. As you would expect, I encounter a fair number of different makes, models, and vintages during the course of the computer support that I provide. It may come as a surprise, but, in my opinion, there isn’t actually a huge amount of difference between laptops. Age and basic specification have far more impact on performance than brand. So, my advice is to get the basics right and then just go with what you fancy. I really can’t see that it makes any difference whether it’s Acer, Asus, Dell, Samsung, Packard Bell, or anything else. The only really obvious distinguishing features between brands is that Macs come from a different planet to everything else and that Sony Vaios are slightly more expensive and possibly better styled and finished than other brands of Windows-based laptops. I’m not going to consider Macs any more in this article. If you’ve decided you want a Mac then your choice is limited by what Apple offers and there’s little more to be said. So, let’s have a look at those basic parameters that you need to consider. A “desktop replacement” is likely to have a 17 inch screen, be as powerful as the desktop computer it may be replacing, and be too heavy to want to lug about very often. A “laptop” is somewhat smaller (a 15 inch screen is typical), and probably about as powerful. You can put one in a backpack and carry it around but you wouldn’t want to do that too often. A “notebook” may have a 13 inch screen and may be less powerful. You may be more inclined to take it with you than a laptop, but you still probably wouldn’t want to carry it every day. 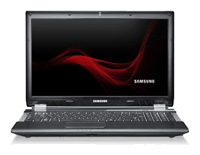 A “netbook” typically has a ten inch screen, is much lighter, and the battery will probably last 7-10 hours (whereas more powerful laptops may last for as little as 90 minutes on the battery). Light enough to carry every day, but still much bigger and clunkier than a “tablet”. We are not considering tablet pcs in this article but you may wish to see this article on Tablets. There are no hard and fast demarcations between these types (apart from Tablets), but you can use them as guides when assessing your needs for power, portability, battery life, and comfort in use. At the risk of stating the obvious, the bigger and more powerful the machine, the more expensive it will be. Netbooks start at about £230, whereas a high-end “gaming” desktop replacement could be £1800. A netbook computer is like a cut-down version of a laptop computer. It usually has a 10 inch screen, small keyboard, no CD/DVD drive, less RAM than a laptop computer (typically 1gb) and a less-powerful processor. It is great for taking around with you and using for applications such as web surfing, email, word processing, and spreadsheets (unless they’re humungously large). The battery life tends to be much longer than laptops but you pay for this by having a less powerful processor and only a 10 inch screen. You wouldn’t want to try doing complicated Photoshop editing on a 100mb raw image on a notebook, but they’re fine for viewing photos and basic editing such as Picasa offers. They can be half the weight or less of a laptop, but you may need to buy an external DVD/CD drive (which you may not need to carry around with you most of the time). Alternatively, you can usually download new software rather than install it from a disc. You can also share a DVD/CD drive on another computer on your local network. In my opinion and experience, a netbook does not work as a substitute for a laptop. I find them too slow, the keyboard too cramped, and the screen too small to comfortably use a netbook all day long. But they definitely have a place if you need portability. I always carry my Samsung NC10 netbook when travelling around London for client visits and it’s invaluable. I just wouldn’t want to use it all day as my main workhorse. Having said that, I do have computer support clients who use nothing else and you can always make them a bit easier to use at your own desk by plugging into a nice, big external monitor and external keyboard and mouse. Assuming, though, that you’re looking for something more than a netbook, what do you need to consider? Unless you are buying an Apple Mac then your choice for an operating system is going to be Windows 7. Don’t even think about Linux unless you want to start becoming an “enthusiast”. There are several versions of Windows 7. There is a detailed comparison here. Windows Home Premium is almost certainly the one to go for. The less powerful netbooks often come with Windows 7 Starter (which I don’t think you can buy as a separate retail purchase). A later upgrade to a more sophisticated version of Windows is possible, but I’m now re-considering whether it was wise upgrading my netbook to Windows 7 Home Premium as it sometimes takes a really long time to come out of sleep mode. We are being told to expect Windows 8 towards the end of 2012. It’s too early to say how it will be received but feedback from the Developers’ Preview and Beta releases suggest that there may be some good ideas in it, but it may cause usability problems because it tries to combine a touchscreen approach (suitable for tablets and smartphones) with a more traditional keyboard/mouse approach. As we approach the launch date, it is possible that new computers will have Windows 7 installed but that a free upgrade to Windows 8 will also be included. You’ve decided on your version of Windows (probably Windows 7 Home Premium), but there is another decision to be made. Since the days of Windows XP there have been both 32-bit and 64-bit computers. These run different versions of Windows. The newer 64-bit versions have been quite slow to catch on but it appears that they are now gathering pace. The main difference is that 64-bit can make use of more memory (RAM) than 32-bit. If you are replacing a computer that is running 64-bit Windows then it makes sense to buy 64-bit again. This is because you would not expect to encounter compatibility problems with your peripherals (eg printer) and 64-bit machines can make use of more memory (RAM) than 32-bit. You can check whether you are currently running 32-bit or 64-bit by following these instructions from Microsoft. Run the “Windows Upgrade Advisor” on your present system to check for potential problems. You can download and run Microsoft’s “Upgrade Advisor” from this link. The most popular range of Intel processors come in 3 main products – i3, i5, and i7. It’s reasonable to think of these as “budget”, “mid-range”, and “performance”. If you intend to edit videos I would recommend looking for i7. Click here for further information on Intel Processors. Do not buy a laptop with less than 2gb RAM, and only be happy with 2gb if you are buying a budget machine and price is a major factor in your decision. If you are buying a 32-bit machine then there’s no point in having more than 3gb as 32-bit Windows can only make about 3.25gb available for use. It’s probably not worth worrying about whether there is 3gb or 4gb installed – just don’t get less than 2gb. If you go for the 64-bit version you can have as much memory as the machine and your pocket will allow. If possible, it’s worth checking whether the installed memory can be increased at a later date (but remember that the 32-bit version of Windows can’t usefully use more than about 3.25gb). For a mid-range 64-bit machine that you expect to last about 4 years, I would recommend 4-8gb memory. If you intend playing the latest. most sophisticated, action games and/or if you are going to do a lot of video editing, then I would recommend getting as much memory as you can – more than 8gb if possible. The hard drive should be no smaller than 250gb. If you plan to record and/or store large video files (such as films) then have as large a hard drive as available and affordable (1000gb is currently a good size). Hard drives are like wardrobes: they look huge when empty, but they can soon fill up. It’s possible to upgrade to a larger hard drive at a later date, but this is not for the faint-hearted and involves having the right knowledge and software. It’s also possible to plug in extra external USB hard drives but it may be inconvenient having things like this hanging off the laptop (especially if you are on the move). It’s worth noting that it is generally videos, music and then pictures (in that decreasing order of size) that take up much more space than anything else. If you don’t have many of these then you probably won’t need more than 250gb of hard drive. At the other extreme, a single video could take up 4gb, a single music album could be up to 100mb, and a single large (RAW) image could be 100mb. You can estimate your total storage needs from these figures (remember that 1000mb = 1gb). Replacement laptop batteries cost anything from about £40 to £150. That’s a lot of money, so it makes sense to treat your battery so as to give it the best chance of outlasting the machine. It is very common for the battery to fail after two to three years, but you probably want the machines to last from three to six years. NiMH batteries – completely drain the battery every now and again. Do this by using the machine while it is not connected to the power supply until the machine tells you the battery is flat and needs to be re-charged. Do this every month or two. There may be more specific instructions about how often to do this either on the battery itself or on documentation that came with it. If you always use the laptop connected to the mains then the battery will last longer if you completely remove it. If you do this, then put it back in and drain/re-charge it every few months. Incidentally, it can make a laptop much more confortable to use on your lap if the battery isn’t connected as the battery weight is a considerable part of the total weight. Li-ion batteries – here the advice is NOT to drain the battery completely. On the contrary, keep some charge in it at all times. Again, I would recommend removing it entirely if you are usually connected to mains power, but check it occasionally to make sure it’s got some charge in it and top it up every now and again (see below for checking the charge). The advice with Li-ion batteries is to store them partially charged. How do you know if the battery is “wearing out”? It probably won’t charge to 100% and the amount of time you get on each charge reduces. You may eventually get a message popping up telling you to replace the battery. Remove a nearly dead battery? It seems sensible to leave a dying battery in the laptop while running the machine off the mains. The theory, of course, is that if the power supply is interrupted then you still have an opportunity to close everything down nicely without problems. Normally I agree, but if you start to get strange things happening to your computer – such as a noticeable time lag between hitting a key and seeing it onscreen – then try removing the failing battery. It seems as if the laptop diverts power to charge a failing battery at the expense of other parts of the system. I may be wrong on why this happens, but it is certainly the case that “keyboard lag” can sometimes be cured by removing a failing battery. How can I tell how charged the battery is? Both Macs and PCs have options for displaying an on-screen icon that shows how much charge is in the battery. When the battery is not connected, you can usually get an idea of its state of charge by a series of LED lights on the underside of the battery that are accompanied by a small button (see illustration – yellow highlight). Pressing the button will illuminate the number of LED lights that correspond to the current state of charge. Turn the laptop upside down. Batteries come in all sizes and proportions but you are looking for a rectangle that has one or two catches along one side. Typically, one of these catches is not spring-loaded so you can slide it to the open position (usually indicated by an open padlock symbol) and let go. Then push the other catch against the spring and slide or lift the battery out of the case at the same time. See the red highlights in the illustration for spring-loaded and non-sprung catches on a Samsung Q35 battery. Mac batteries are often held in place with a button with a slot across it. Turn the slot by 90 degress and the battery can be removed. Some Mac batteries can’t be removed except by professional repairers as they are entirely contained within the case rather than attached to the underside of it (eg the MacBook Pro). Ensure that the laptop at least goes into “sleep” mode if left unattended when running from the battery. Try to keep the air vents around the casing of the laptop clear of dust, fluff, and nearby obstructions. A good flow of air through the laptop is essential to keep the electronics working within specific temperature limits. If it gets hot then the fan will cut in. The fan needs power and this will come from the battery if the laptop is not connected to the mains. The best way to keep the vents clear of dust is by blowing air into them from an “air duster” (a can of compressed air – available from PC World, Maplins, Rymans etc).